If you have a single wired Internet connection, you can easily setup an ad-hoc wireless network with Ubuntu and share the Internet connection among multiple devices. Unfortunately, some devices including Android & Windows Phones may not support ad-hoc wireless networks. So this tutorial is going to show you how to turn your Ubuntu laptop into a wireless access point in another way with Android phones support. 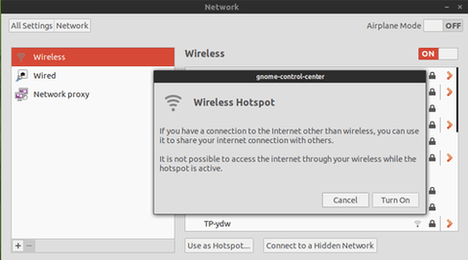 UPDATE 2: Seems that Ap-hotspot is not working good on Ubuntu 14.04, please try this post using KDE’s network manager. Or use the default Network Manager with a little hack. To get started, press Ctrl+Alt+T on keyboard to open the terminal. When it opens, run the commands below one by one to install ap-hotspot. Supports for Ubuntu 13.10, Ubuntu 13.04, Ubuntu 12.10, Ubuntu 12.04 and Ubuntu 14.04. download & install the ap-hotspot deb for saucy at this page. For Ubuntu 14.04, due to bug you need to downgrade hostapd to make ap-hotspot work. Copy and paste the command below into terminal that matches your OS type – check out via System Setting -> Details – and hit run to download, install, and hold the old version of hostapd. While running the commands below, type in your user password in terminal when prompt. It will detect the wired & wireless interfaces and ask you to confirm that if they are correct (run ifconfig if you’re not sure). Then you’ll be asked to enter a wifi hotspot name and setup a password. Now you’re able to connect to wifi hotspot via your Android phone! UPDATE: Please report issues at: https://github.com/hotice/AP-Hotspot/. Tip: For the error “Access Point Mode is not supported by this device”, you may take a look at this page. This metod working with 3g mobile modem ? hey .. i m used to do this on ubuntu 13.10 .. and it works fine , i can conneect my tablet .. but yesterday i changed to Elementary Os .. i found the access point and when i connect to it , it stuck on obtaining Ip adress ..
Hi. I have TTL = 1 on my laptop. My phone hasn’t internet access. How can I lower or raise the TTL value? The IPV4 settings are accessible through proc filesystem at /proc/sys/net/ipv4. Please report this issue at: “https://github.com/hotice/AP-Hotspot/issues” and ask the developer to add support your wireless card. Thank you for the post. I am using ubunutu 12.04. I have followed the instruction given above to create the network. But, my android tab couldn’t connect to this network, it struck at obtaining IP address. I have searched for this, but i didn’t find any solution. Can you suggest me what i should i do to solve this problem? Thanks. After starting the hotspot, my phone sees the connection but cannot access it. It keeps showing an invalid password error. Any ideas how to fix this? Hi, thank you for the post, I am using ubuntu 12.10, I am installing on a Dell Latitude E5530. Sorry @rohit. This app is a little buggy on 14.04 and please go to the project page (link at the end of article) to get help. can i do this on linux mint 16? mine is not working, it says “starting wireless hotspot….” waiting for 15 min it still not active, how can i fix this? I installed ap-hotspot. I entered hotspot name and password. But when I try to connect any device it says authentication problem. I am unable to connect any device. Same problem here :/ Found any solution ? Sorry, the tutorial was tested on Ubuntu 13.10. Please try the KDE’s network manager, see the link at the end of article (UPDATE 2). it is not working, it says “starting wireless hotspot….” waiting for 15 min it still not active, how can i fix this? Its not working with linux mint 17 though I used it with linux mint 15. can you update it for linux mint 17? Thanks for your article, I am able connect my laptop with mobile. But unfortunately on my mobile, Satus is showing as: Limited connectivity and also I am not able to access the internet on mobile. Kindly help me.. waiting for your response. also kindly show me the steps, what setting do I need on mobile (already done the seeting on laptop) for accesing the wired internet connection on mobile. GAH, nevermind!!! I was looking at the end of the article. I found it in the middle while scrolling up. its not working on ubuntu 12.04. it is showing that wireless hotspot is active but my mobile is not searching it. also not showing in wireless connection. Sorry man, Hotspot was working good. It may or may not work nowadays, please visit the project page (in the end of post) to get more information. Now I’m using KDE’s network applet to handle this in Ubuntu 14.04 (not tested in 12.04), you can try it from the link in the “update2” (in the middle of post) section. 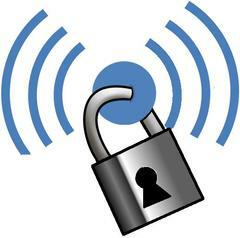 On the machines or phones you are trying to connect with, select “only wpa2” for encryption. Then you will be able to connect AND obtain an IP-address. 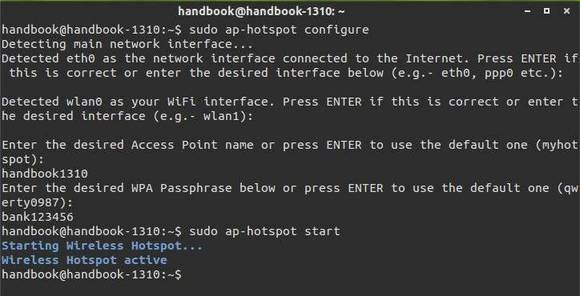 Hi Sir, i m using ubuntu 12.04 when i entered the command “sudo ap-hotspot configure” in terminal, it is showing that “Your wireless card does not support Access Point mode” why ? and what i have to do now ? Or, you can use KDE’s network manager to create a wifi hotspot.. see the “UPDATE 2” in the middle of the post. Thanks! Great command but not working with my lan connection. Hi, how do I keep a check of the devices that connected to my hotspot ? Perfect! Got it working on Xubuntu 12.04 with a few additional easy steps. After a successfull install, when trying to connect Android phone and tablet to the hotspot they were just stuck at optaining IP address. 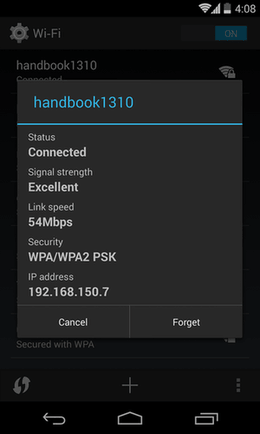 And now the Android phone and tablet can obtain IP addresses and it’s quite fast! The Xubuntu is running on an Acer Aspire One AO751h. Android version 4.4.2 on LG L70 phone and Nexus tablet. Thanks agli. It worked for me. Guys don’t look for the internet connection symbol. In my case intetnet is connecte, but on internet connection symbol it is showing as it’s not connected. Tell me how to complete authentication of password while connecting from android. Im using Dell Vostro 1450 series laptop with Ubuntu 12.04. I have installed ap-hotspot by referring this article but it ends up with following message after i run this cmd – sudo ap-hotspot configure. i would like to inform you that the issue with faulty hostapd has probably been fixed now as i did not encounter any problems setting up my wifi hotspot. ap-hotspot works perfectly and even better than mhotspot in windows. Thanks a lot. Where other methods failed, this one worked. Works great for ubuntu 14.04…. I can able to access the net from my android phone…. Thanks man…. on terminal it displayed ..
hi i have succesfuly installed the hotspot but to conect to my android its asking for a password? where can i find the password to connect my mobile to my laptop? Wonderful. It worked like a magic on my linux mint – nexus5 combo :). It works with me and I’m able to access internet on android, Iphone, laptob (windows/ ubuntu) when I use WPA2 key or I keep it open. However, when I I try using Wep key to connect I obtain only “saved” but unable to connect in all devices. can you explain plaese. how to fix it. please suggest what to do ..please its urgent .. Thanks in advance . I have got Ubuntu12.04 and everything works fine…my handset even detects it but on connecting “Authenticating” keeps on repeating.. I am on ubuntu 12.04 and I obtained the ap-hotspot deb without adding any PPA. i tried ur method. all went ok but it keeps on saying starting wireless hotspot……. but never starts… what should i do? How to protect the hotspot with password.when password gives it is not getting.please give advice to solve it. The process ended what should I do? I am a new user of Ubuntu 14.04. Thnq, I did everythng u said and it is working. But I need something else, now I need to get which and all devices are connected to my laptop through this hotspot. And need to send information to those devices as some kind of notification. Pls help me with this.. This works on 14.04 without removing anything. Just install hostapd as said above. Connection problem while installing ap-hotspot : ‘404 not found’ something like that. What should i do? Your instructions don”t work. I don’t know if it’s due to my laptop running Ubuntu 15.04 or if anything is outdated. Could you write a guide for Ubuntu 15.04 ? Thanks a lot. The requested URL /ubuntu/pool/universe/w/wpa/hostapd_1.0-3ubuntu2.1_amd64.deb was not found on this server. I got the error message below, I am using ubuntu 14.04LTS 64bit. 2015-10-21 23:39:37 ERROR 404: Not Found. it shows “your wireless card doesnt support accesspoint mode. kindly guide me to download latest drivers for the dell 1397 minicard. hi, do we update for this settings. mine is not working but perfectly fine before the most recent update and upgrade of my system. thank you in advance. Connecting to archive.ubuntu.com (archive.ubuntu.com)|91.189.91.14|:80… connected. 2015-11-26 21:46:36 ERROR 404: Not Found. My installation and configuration is finished. My android device showing my hotspot but when i enter password andl click to connect the process go running or running but not connecting. Please tell me what i do to resolve this problem? will this work with ubuntu 13.10 -> iOS 9 iPad? Yes, that’s all. Substituted “archive.ubuntu.com” by “old-realeases.ubuntu.com” and it worked. Thanks. I was looking for a good solution for easily creating a hotspot on ubuntu a few months back, but somehow I missed ap-hotspot. Other solutions proposed by the interwebz either didn’t work or were too complicated to handle quickly. Therefore I set out to write my own set of scripts to facilitate the process. I would be happy if some of you were to check out my project at https://github.com/keysie/ubuntu-hotspot and let me know how it works for you. Hello Sir, I already created ap-hotspot and can be used normally ， but when the WI-FI connection tip password mistake . why ? wget to the deb file is not reachable @ step 2: so stumbled for the working one which is down here. Tested and working 100%. Thanks for the write up on this. Connecting to archive.ubuntu.com (archive.ubuntu.com)|91.189.88.162|:80… connected. 2016-10-12 19:30:58 ERROR 404: Not Found.